Revolutionized business conferences. From northern lights to tropic. Passionate professionals, and the most advanced matching technology platform. Knowing the needs and investments of top decision makers across Europe and Asia is our top priority. We offer events for Government Municipalities, Energy, Manufacturing, Healthcare, Financial, and Retail industries. 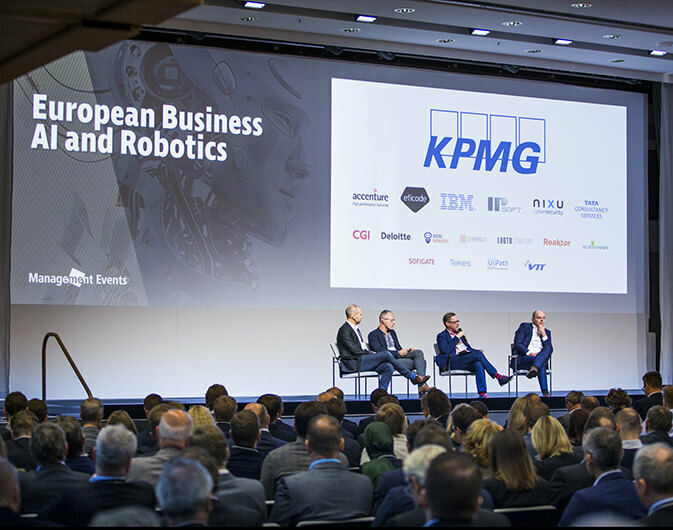 We annually bring together 20,000 decision makers and arrange 110,000+ pre-booked meetings across Europe and Asia. Who says conferences must be dull? We value our guests' precious time and pay attention to quality in everything we do. Our passion is to organize the most efficient working day for you. Our advanced technological platform allows our invited guests and partners to book their meetings in advance with solution providers for your investment needs. Meet top executives from TOP500 companies and exchange thoughts about upcoming trends and business challenges. Be a part of the exclusive audience and hear from the top minds of the industry where the next big things are developing, and what the future challenges will be. Meet other C-level decision makers and TOP solution providers, and discover the latest strategies that will benefit your organization. industries that are based on interviews, surveys, and case studies of our customers.